Dial up the retro style with this nesting box set from our Yesteryear collection. Gold and silver foil provide an authentic, old-tech touch. 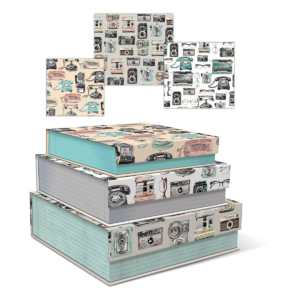 Large: 11½" x 8½" x 4½"
Medium: 9½" x 7" x 4"
Small: 8¼" x 5½" x 3⅓"
Typewriters look amazing on any desk. 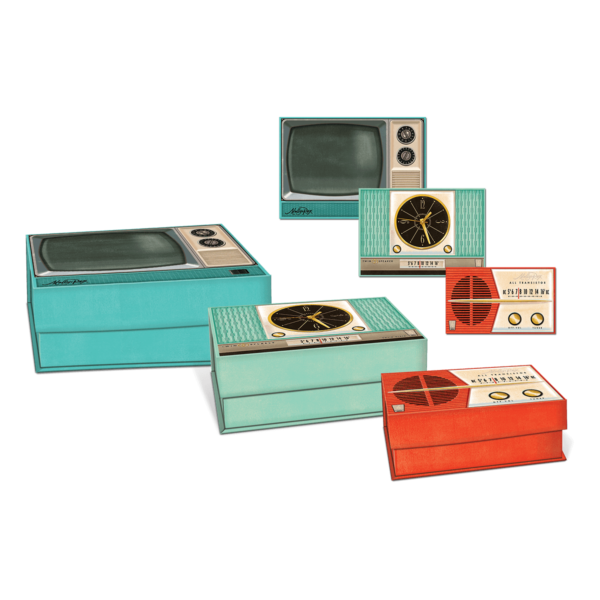 Enjoy a functional throwback with this flap desk organizer from our Yesteryear collection. With 3 open compartments and a magnetic, flap-covered, 3-section compartment, you can store more supplies than we can possibly type. 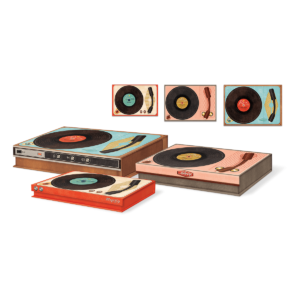 These boxes… you have no idea how authentic they appear! Every little detail is perfect! Just finished a high school stage production, (a popular musical about 1959), and used these as props. People were asking where we found such amazing pieces. The audience thought they were all 3 actual appliances. Purchasing more for myself and other family members. Great for pictures, jewelry, other collections. So impressed with these!